The Capitals have announced they have signed defenseman Michal Kempny to a four-year $10 million contract with an average annual value of $2.5 million. Kempny was acquired shortly before the trade deadline from Chicago for a 3rd round pick. Kempny had three points in 22 games for Washington in the regular season and five points in the Caps playoff run. However, his effect on the Caps does not show up on the scoresheet. Before his arrival, the Caps defensive core was in shambles. He stabilized the defensive core by sliding into the top pairing with John Carlson. Kempny gave associate coach Todd Reirden credit for giving him back his confidence. Kempny credited Todd Reirden for getting his confidence back here in Washington because he didn’t have much coming over in the trade. Said he had some bad games in the playoffs but Todd would give him keys to get right back on track. With Reirden most likely the next head coach, that likely had an impact on Kempny returning to the Caps while he could have gotten more money elsewhere. 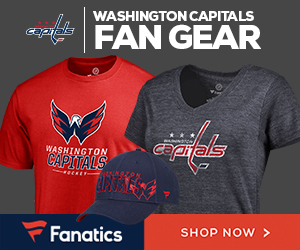 With the return of Kempny and John Carlson, and the mot likely returning of Tom Wilson, the Capitals will be returning their top-nine forwards and their top-four defenseman as they look to make another run at winning the Stanley Cup.